“Israel is not against ‘terrorism’; it is only against anti-Israeli terrorism.”Prime Minister Yitzhak Shamir, after the outing of a secret Israeli assassination squad in 1990. The current attempt by Israel’s supporters to equate “Islamic terror” in France to Israeli victimhood requires a reality check, such as comparing the numbers of the Palestinian injured and dead to that of Israelis. While psychological studies of Israelis show fast adjustment to the situation, studies of Palestinians indicate a high level of PTSD and widespread psychological damage, especially of children. 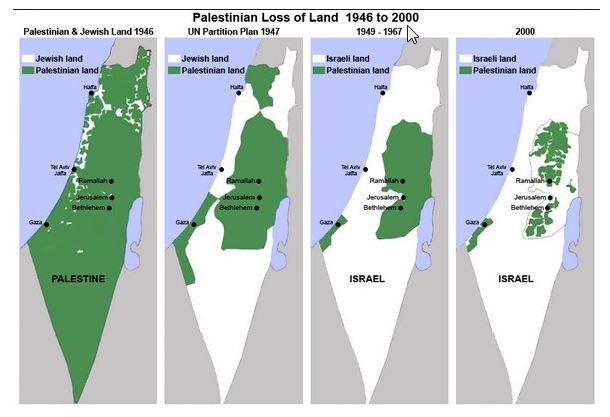 In fact, Israelis benefit hugely from “living with ‘terror'”: their homes are often built on stolen Palestinian land, their water is largely from Palestinian sources, and they benefit from Israel’s theft of what should be Gaza’s gas. Their profitable “security” industry tests out their new products on the civilians trapped in Gaza or West Bank enclaves. The occupation is win-win for Israel. Israelis pay little for this: the international community picks up the humanitarian aid bill for Israel’s legal obligation to ensure that Palestinians under occupation (in East Jerusalem, the West Bank and Gaza) have access to adequate food, water and medical care and other necessities of a decent life, such as education. Israel hobbles humanitarian aid by skimming money off the top and ensures that what reaches Gazans — under siege since 2006 — will not be sufficient to allow their health. Legal experts, who agree that Israel’s treatment of Palestinians is “apartheid”, disagree on whether this is “genocide” or merely “genocidal treatment”. A key point is the use of language. Israel often calls its own terrorism (usually illegal) “resistance” before it declared itself a state, and “defense” afterward. Jewish and Israeli terrorists are merely “militants” and the Jewish Defense League operates openly, despite U.S., Canadian and French anti-terror laws. Palestinian violence (usually legal under international law) should be called “resistance” because their land and resources continue to be taken illegally and they have been deprived of self-determination. Israel’s control of the media has made “Palestinian” virtually synonymous with “terrorism” despite its vastly greater terrorism inflicted on Palestinians. Israel’s definition of “terrorism” has come to have global consequences. Like a parasite that has come to occupy the brain of a host, Israel has been able to infect the west with the belief that countries that challenge Israel’s regional hegemony threaten the safety of the west. Investigators have found that some of the benefactors of Israel’s illegal settlements (such as the Koret, Fairbrook and Irving Moskowitz foundations) are collectively responsible for much of the media’s Islamophobic racism that has come to characterize the west’s attitude toward Muslims. The political benefit to Israel of Muslim demonization is incalculable; the term “terrorist” has come to be defined popularly — with what should be unacceptable racism — as only Muslim violence. Christian and Jewish terrorists are only described as such if there is a link to Muslims, otherwise, they may be “mentally ill”. The common perception that “terrorism” is Muslim indicates the impact of that definition, because studies of violence in the U.S. and Europe have repeatedly shown that Muslims are rarely responsible for violent crimes. Israel’s claim to terrorist victimhood must be understood for what it is: a self-serving ploy to continue its theft of Palestinian resources and its destruction of Palestinian lives. The impact of anti-Muslim racism will be increasingly catastrophic as long as Israel and its supporters are allowed to influence western media and governments.